Carpenter ants are so much more complex and capable than most people would assume! They are always nesting, communicating between satellite nests within the same colony, and slowly destroying houses from the inside out. A queen can live for 26 years! It is very rare for a typical homeowner to solve an infestation on his or her own (an infestation is defined by merely having the ants nesting somewhere in the house). The defining characteristic when identifying a carpenter ant is the smooth, round, crescent moon-shaped thorax or middle section. Other ants in the Vancouver and nearby areas have bumpy thoraxes. There are three to four main species that are problematic, all of the genus, or category, Camponotus. The main strengths that make these ants so challenging to eradicate completely are their secrecy, adaptability, work ethic, and sheer numbers. We rarely get to find where a nest or nests are exactly located within a building, so a thorough, systematic treatment is performed so the ants are left with zero escape paths. 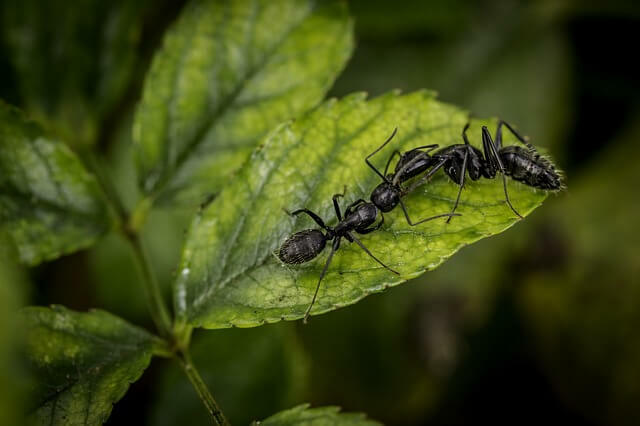 There are so many factors that play key roles in the elimination of carpenter ants, so please call us at Pest Boss any time to ask questions and discuss details!